I originally commercialized thermal pest eradication in the 1980s for the structural pest control market to kill termites and other wood-destroying insects. The Titan 800 produces enough energy to increase the core temperature of large, wooden structural beams to 130°F, a level lethal to termites, and maintain that temperature for the required heat treatment duration. 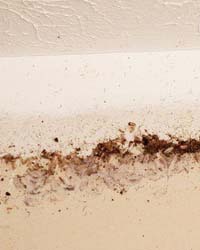 Unlike fumigants that take multiple days to penetrate wooden structural members and are toxic to people and pets, heat penetrates every part of a structure and can often kill all termites in a structure within one day. 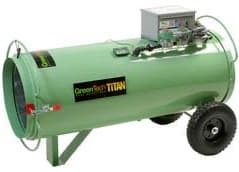 The non-chemical, active application of convected heat via an open system produced by the Titan 800 portable propane heater will also denature and flush dust, allergens, and odors from a structure. Because of the thermal energies required to raise the core temperature of wooden structural members, the 990,000+ BTU Titan 800 portable propane heater is the best heater for the job. 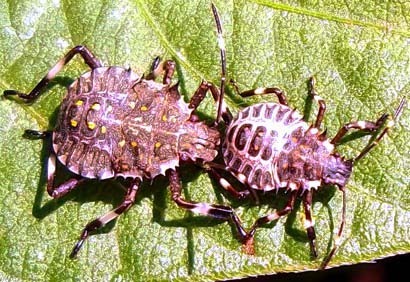 The brown marmorated stink bug (BMSB) is an agricultural pest native to China, Japan, the Korean peninsula, and Taiwan. It was introduced into the United States in 1998 and recently established itself in Europe and South America. This bug is a serious, extremely versatile, agricultural insect pest that feeds on a wide array of plants. 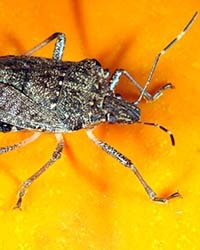 New Zealand and Australia are specifically worried that the brown marmorated stink bug would attack many crops valuable to their economies. 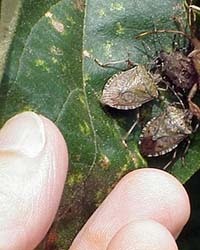 The brown marmorated stink bug travels on vehicles, tires, and goods shipped between countries. 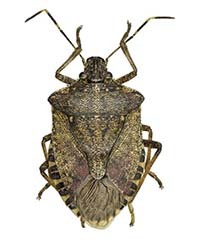 Treating an item for brown marmorated stink bugs with heat requires a maximum of 30 minutes once lethal temperatures are achieved compared to a minimum of 12 hours when treating by fumigation. 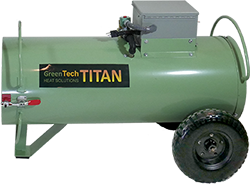 GreenTech Heat Solutions has created custom heat chambers for auto exporters in Japan that treat three vehicles per hour per chamber. This is three times more vehicles than can be treated and certified by fumigation. Eradicating an infestation by finding and eliminating fleas on your pet sounds easy enough. Finding all the fleas can sometimes be difficult because of their small size and large numbers. While the best place to look is in your pets’ fur, you can also find fleas and their eggs throughout your home and yard. 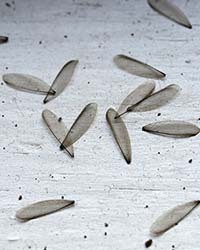 Your pets are the fleas’ food supply are the main target for the fleas: These insects need blood to live and reproduce. 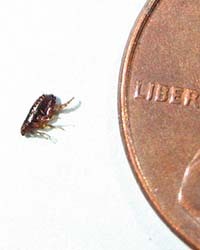 If you have a flea infestation, you will probably have fleas in all stages if you find adult fleas in your home. 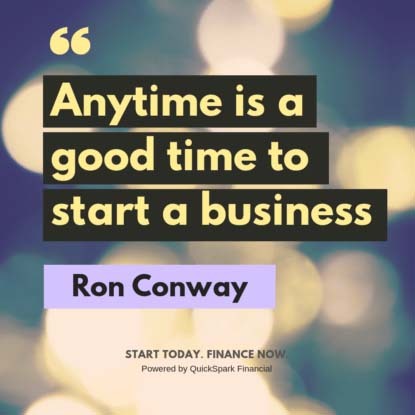 That includes eggs, larva, pupae, and fully-grown adult fleas. 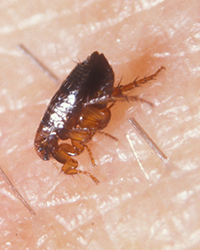 Fleas are &frac18; inch long and typically dark colored. They don’t have wings, but can jump almost ten inches. As your pet moves around the house, eggs can fall off get dispersed throughout your home and its furniture. 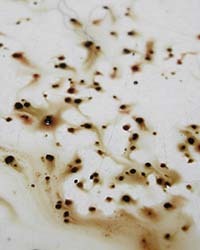 Chemically treating all areas for flea eggs is ineffective. A whole-house heat treatment will kill all stages of fleas, including their eggs, wherever they may be. Individual rooms can be treated over several days with our ePro 400 or ePro 600 electric heaters. 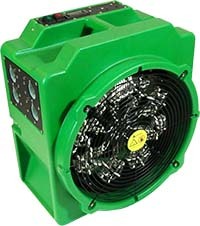 Whole structures can be treated in as little as one day with the 513,000+ BTU Titan 450 portable propane heater. Rodent pests includes mice, rats, and squirrels which can contaminate food, damage property, and spread disease. Rats and mice are the most common rodents in the United States. 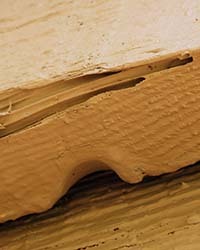 Unlike the depiction in cartoons, rodents such as rats and mice do not instinctively seek out cheese, but will eat grains, and gnaw and chew on insulation and piping. 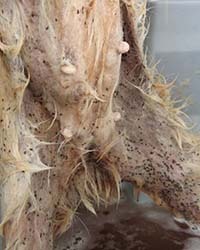 Rodents can spread disease to humans. According to the CDC, Hantavirus Pulmonary Syndrome can be spread by breathing in dust that is contaminated with rodent urine or droppings, as well as direct contact with rodents or their urine and droppings. 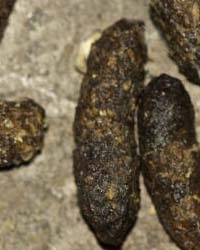 Rodents don’t have dedicated potty spots. As rodents roam around their environment, they urinate and defecate wherever they go. Rodents can also introduce disease-carrying insects directly into your home. 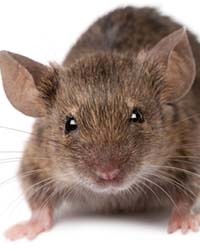 Unlike baits and traps that will eliminate the animal pest, heat treatment for rodents will denature the viruses and bacteria found in rodent droppings and urine tracks, throughout your entire home. Unlike traps and poisons which will eliminate the rodent, heat treating the entire structure—including attics and sub-areas—will kill the bacteria and viruses found in the rodents’ urine and feces. Heat directed in and through the animal’s environs and nesting sites will definitely drive the pests to seek cooler areas outside of the structure and will kill any that are unable to escape. When combined with traps and structural repair and reinforcements, heat sanitizes and disinfects the treatment area better than simply killing the animals. Because treating rodent infestations typically includes denaturing the hazardous effects of their droppings and urine in attics, wall voids, crawl spaces, and sub-areas, the 990,000+ BTU Titan 800 portable propane heater is the best heater for the job. 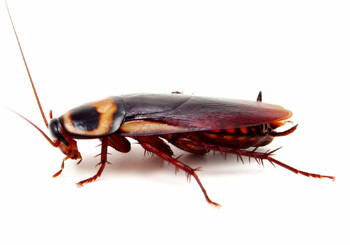 Cockroach infestations can grow and spread quickly because these insects are aggressive breeders and are very mobile. 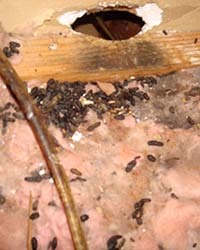 It is essential to identify the infestation as soon as possible. 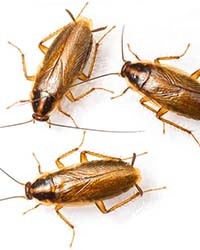 Knowing the signs of a cockroach infestation can help you stop the spread of cockroaches. 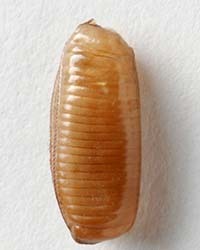 Unlike chemical pesticides and baits that cockroaches must seek out or come in physical contact with, heat penetrates every place cockroaches live, hide, and infest. 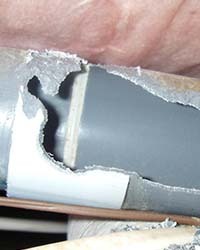 When properly applied, cockroaches cannot escape from a heat treatment. 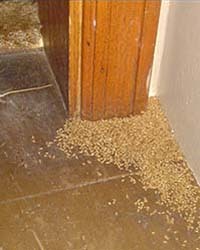 When combined with desiccant dusts and perimeter barriers, heat can always be 100% lethal to cockroaches and their eggs. Because cockroaches like to hide behind appliances, in walls, and in places that can be hard to heat, the ePro 600 portable electric heater is the best insect heater for residential jobs. Large infestations or commercial locations will benefit from treatments with the 513,000+ BTU Titan 450 portable propane heater. When you consider how many of today’s goods and services come with harmful side effects to the consumer or the environment, the GreenTech Heat Titan portable propane heaters, ePro portable electric heaters, and training provide you the technological advantage to make a difference for your customers and differentiate your business or residences for a strategic advantage in the marketplace.